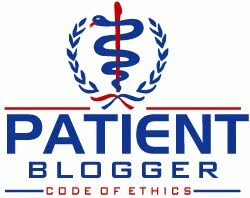 This morning, the blogosphere has a few interesting posts on how our "friends" in the pharmaceutical industry managed to snowball many of us. Notably, Allie Beatty at The Diabetes Blog documents on how this could happen in her post "The Insulin Evolution" on how we allowed insulin to evolve from merely hormone replacement into a genetically modified hormone. Interesting stuff. But, today several other bloggers are answering exactly how that happens in today's environment, including BrandWeekNRX who has summarized an explanation on how pharmaceutical marketers are using the web to fool the FDA, with various tricks such as having pharmaceutical companies pose as consumers on social networks, or Wikipedia sleight-of-hand edits which were highlighted recently as it was recently reported that some drug companies made Wikipedia edits anonymously. I have seen the latter one first-hand, as Wikipedia edits I made myself made were somehow removed. But big pharma may not have counted on vigilance from enlightened consumers who have reversed their Wikipedia slight-of-hand edits anonymously as well. Nevertheless, pharmaceutical industry consultant John Mack, who has worked to stop the slippery slope of these evil violations has decided no one listens anyway, so he's decided to sell what he knows. See the Pharma Blogosphere for more complete details. Just remember, patient groups can also obtain the same information and can use it against those who try to mess with us! The Diabetes Blog's Allie Beatty also posted one way around these issues today on how patients can now report drug side effects to the FDA themselves via the web, so the next time you have a hypo for no apparent reason and you have accounted for every gram of carbohydrate, fiber and fat, and you started at the perfect blood glucose level, yet you end up low hours later for no apparent reason, consider filing a report with the FDA. Contrary to what you may believe, not every low or high is caused by patient error, but the FDA needs to know about it! See that posting here for details. To understand why big pharma does this, consider the regulations imposed on them for advertising relative to other products. Imagine, for a moment, what the military's ads would be like if they had disclaimers like drug ads? None of this is reassuring to patient groups. Its a scary world out there, and I think many of us in the the diabetes blog universe are on to many of these tricks already, and have worked tirelessly to rectify some of these things when examples emerge, but more of us need to be doing the same thing! Collectively, patient groups can flex our collective muscle on many of these issues (such the role as Allie Beatty, Amy Tenderich, Kathleen Weaver and my reporting played in dooming Exubera). Notably, Michael Krensavage, a pharmaceutical equity analyst at Raymond James Financial, Inc. recently told Forbes that "Exubera has been one of the most spectacular flops in the pharmaceutical industry." But I would encourage more of you to take it to the next level so that such tricks and games are less prevalent in the future! There should not be drug advertisements all together. Advertisement is the art of positively displaying your product in which to produce greater sales. That is why we are 1 out of 2 countries that allow prescription drug advertisement. The pharmaceutical industry should not have to advertise a cure for a disease, sending the patient to their doctor in search of medication to cure a problem they THINK they have. It will finally get to the point where big pharma is no longer pimping the meds but instead the disease. Is our country become overmedicated because of the doctors and commercials pushing the drugs, or does the responsibility fall on those dumb enough to fall for it? In the past year I have had several hypos for which I have absolutely NO explanation. By leaving a complaint with the FDA doesn't that assuming that I blame the insulin? My problem is that I do not know at all why the hypos occured. Maybe something peculiar happened in my body. However it DOES seem important that the FDA is informed of such occurences. I have pasted into my "favorites list" the site with the BEGIN button where you can make these complaints to the FDA! I am sure such hypos will happen again! Yeah Allie's blog is CREAT, we need her critical eye! Hypos with insulin? Hard to consider this a side effect. Januvia shutting down the enzyme, DPP-4 the body is believed to use to fight melanoma without the drug company ever having to explore this possibility. My dermotologist yesterday said, "But of course after its been on the market for a few years the side effect should show up. What a dreamer. What doctor will connect skin cancer with a drug given to lower blood sugar. If insulin were to apply for FDA approval today, it would not meet the standards given to new drugs for adverse effects, responsible for some 56,000 annual hospitalizations (a majority due to hypoglycemia), making it the drug with the single most adverse effects bar none. Its hard to make the claim that insulin-induced hypoglycemia is not an adverse effect largely because its dosed subcutaneously in a non-physiological fashion. Consider that pancreatic insulin goes directly to the liver to control glucose production there. With increased insulin secretion, as at meals, peripheral concentrations of the hormone rise to stimulate glucose oxidation and storage in peripheral tissues, with anabolic effects on protein and fat metabolism. Pancreatic insulin is under endogenous control-if plasma glucose slips slightly below 5 mmol/L, insulin secretion falls. By contrast, exogenous insulins are administered subcutaneously, circulate peripherally first, and are controlled (more or less) by their pharmacokinetics, with peak actions occurring anything between 1 and 8 h after injection. Their profiles (even analogs) do not resemble the physiological insulin profiles of a normal 24 hour day, and they are unable to respond to changing insulin needs. Furthermore, with a potential of 50% variability in absorption of subcutaneously injected insulin, its actually surprising patients with diabetes cope as well as they do. Given these facts, one cannot deny calling hypos induced by insulin artificially dosed an adverse effect. The issues of using insulin are considerably different for the type 2 universe largely because although beta cell failure may necessitate insulin replacement therapy, the Islets of Langerhans, including fully-functional alpha, beta and delta cells remain intact, whereas type 1s suffer from irreparable damage to the counterregulatory Islet function because of inflammation due to the autoimmune response which is aimed specifically at the beta cells. I agree that drug advertising should be abandoned, but don't expect that to happen anytime soon. But we should expect more strict enforcement of the rules already in place, something which is not happening today largely because the FDA is understaffed and has faced consistent reductions in its budget in spite of growing responsibilities. The user fee issue has also effectively turned funding for the FDA into a joke, as the companies whom the agency is supposed to be regulating are funding a majority of the agency's budget. That needs to end as well!